(MoneyWatch) When it comes to Social Security benefits, it's critical that married couples understand the rules that apply to them. Not only do these rules affect the income you'll receive while you're both alive, but they directly affect the security of the survivor, who is often the wife. Poverty among elderly widows is a real problem in America, so making smart decisions about your benefits can help keep your surviving spouse out of poverty after you're gone. Welcome to the second post for Week 7 of 16 Weeks to Plan Your Retirement. My previous post this week covered the benefits you might get from Social Security. Now it's time to focus on the income your spouse will receive. a benefit based on up to half of the primary worker's benefit (called the spouse's benefit). The spouse's benefit is payable even if your spouse never worked or only worked sporadically. While both of you are alive, your household income from Social Security is the sum of your own Social Security income and your spouse's income. Your income is not reduced because your spouse also receives Social Security income. What will your spouse's expected benefit be based on his or her earnings? Go through the checklist in my prior post, and check your spouse's earnings history, determine his or her full retirement age or FRA, and estimate the benefit your spouse will receive based on his or her own earnings, using the calculator on the Social Security website. What will the spouse's benefit be? Divide the result by two. That's the amount of your spouse's benefit, starting at your spouse's FRA. Now determine the amount your spouse will receive if he or she starts the income before his or her FRA (it will be a lower amount than if your spouse had waited until his or her FRA). The early retirement reduction is similar to the reduction applied to early retirement for your benefits, but the factors are slightly different. For example, if your spouse's FRA is 66, then the reduction for starting early is about 30 percent at age 62, 25 percent at age 63, 17 percent at age 64, and 8 percent at age 65. Note that there is no increase in benefits for delaying the spouse's benefit beyond FRA. 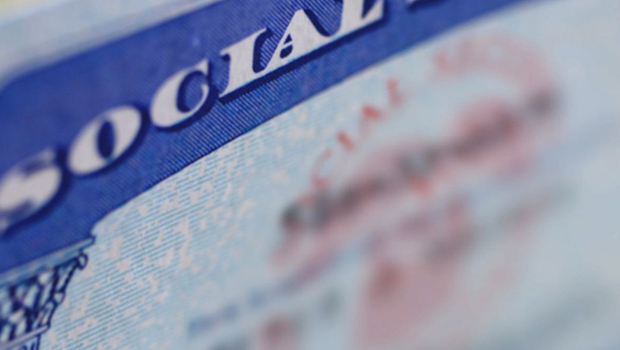 When can your spouse start Social Security benefits? Your spouse can start his or her Social Security benefits based on his or her earnings history at any time, provided he or she has attained age 62. However, your spouse can only start the spouse's benefit after you start your own benefit. There's an important exception called "file and suspend," but it only applies after you attain your FRA. In this instance, you can file for your own benefits and then immediately suspend them. That allows your spouse to start the spouse's benefit, while your benefit earns delayed retirement credits. What happens when one of you dies? the Social Security income the deceased spouse was actually receiving, based on when the deceased spouse started Social Security benefits. Note that only one Social Security income is payable; the surviving spouse won't receive both the deceased spouse's income and his or her own Social Security income. In short, the survivor gets to keep the higher of the two payments. Here's another rule that opens the door for an interesting strategy: Once you've attained your FRA, you can file to receive the spouse's benefit but delay taking the benefit based on your own earnings. When you eventually file for the benefit based on your own earnings, you'll receive the delayed retirement credit. Trying to maximize the Social Security income you and your spouse will receive over your combined lifetimes can be tricky, and it's beyond the scope of this post to dig into each possible scenario. To help you out, however, stay tuned for my posts next week that will describe a few common strategies that use the rules described above to help a married couple get the most from Social Security. I'll also cover some of these situations in future posts. You can learn more about the rules that apply to these situations on the Social Security website, or by reading Social Security: The Inside Story, by Andy Landis, or Social Security for Dummies, by Jon Peterson. As mentioned in my previous post, Social Security benefits have unique and powerful advantages to help during your retirement years. It's well worth your time learning how to maximize those benefits for you and your spouse.